That’s because you can delete settings defined at the local scope. If a setting is configured both at the global scope and at the local scope, the local setting takes precedence. In this case, that means that the property in question will allow up to 6 failed login attempts, with the local property value overriding the global value. The preceding question brings up an interesting point. 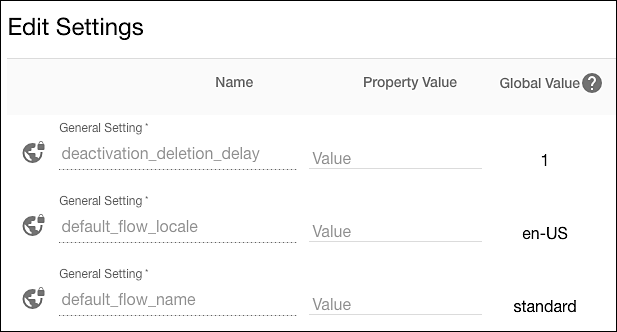 As we saw a few moments ago, you cannot delete a global setting from the property settings page. That makes sense. But now that we’ve configured login_attempts locally, what happens if we change our mind? What are we supposed to do if we no longer want to define login_attempts at the property scope?